Dutch painter Roland Schimmel is fascinated by the eye and the uncontrollable in our perception. 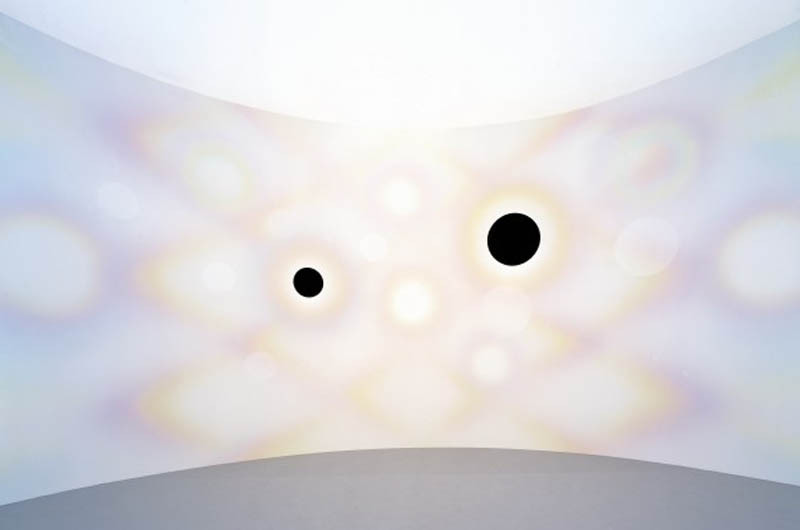 His paintings and murals, as well as computer animations, create visual after-images similar to those one experiences after staring at a light for a while and then looking away or closing their eyes. These abstract works created by airbrushing really play with your vision and have names such as Psychoscope and Blind Spot. The body of work is an exploration of the dividing line between reality and appearance. If you look at his work, close your eyes and see the complementary colors appear on your retina, you also gain a sudden insight into the unrealized possibilities underlying every word, action, choice: the complementary forms of what actually exists. 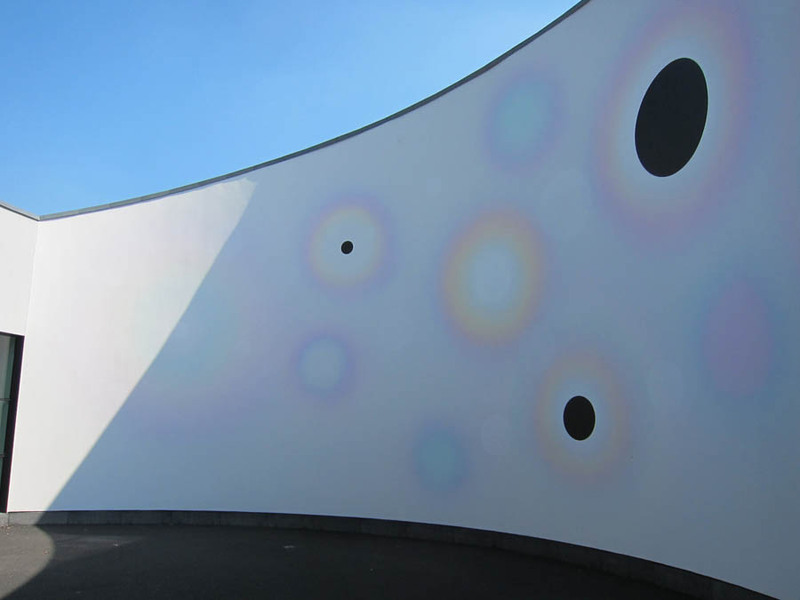 Presently, Schimmel has a large-scale mural titled The Innocent Eye in the space of Het Oog (The Eye!) at the Van Abbemuseum in Eindhoven. So, if you’re in the area you might want to stop by before the end of the month when the mural will be coming down. Photos courtesy of the artist and Van Abbemuseum. This entry was posted in Art, Street Art. Bookmark the permalink.